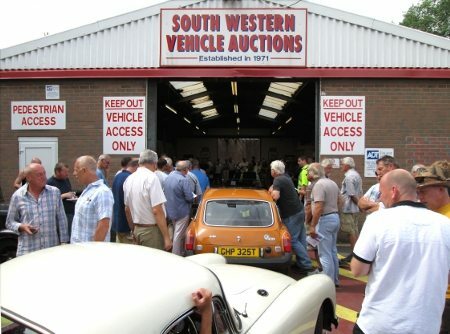 One Week Until The Classic Car Auction – Fri 25th October! Just one week to go until the SWVA Classic Car Auction. We have a stunning range of different cars entered into sale. From a 1962 Ford Thunderbird to a 1938 Morris 12, we have all sorts of different classics entered, searching for a new home. For telephone bidding, call the office on 0044 (0)1202 745466. Auction starts at 11:00am. The classics will be available for viewing from Wednesday next week, with Chris Holmes available to talk you through any of the entries. Why not sign up to our classic car auction mailing list, where you will receive updates on the classic car auctions, including new entries, catalogues and lists of results. To add your name to the classic car mailing list please complete the below form.